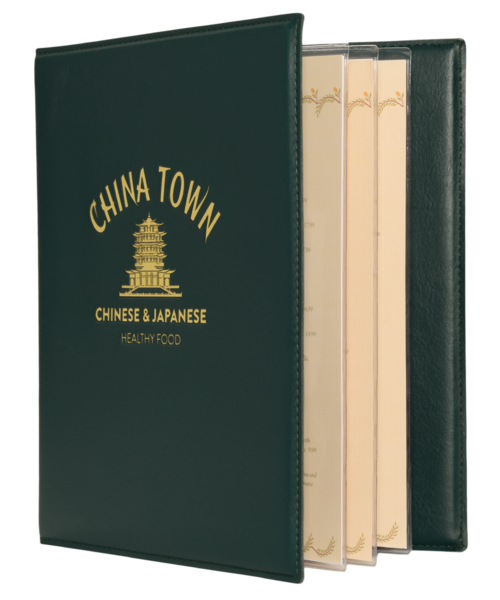 Out Faux Leather Menu Covers with Screwpost Binding are padded, attractive, durable and can hold up to 15 clear vinyl sheet protectors. Perfect for multi-page menus that show pictures of their entrees. 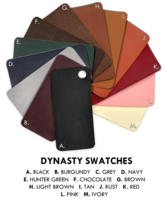 Heavy Duty faux leather material inside and outside, stitched together on all sides, with rigid, foam padded board sandwiched in-between. Your logo can be debossed into the front cover in a variety of foil colors for an additional setup charge of $95 for any quantity of 15 or more. 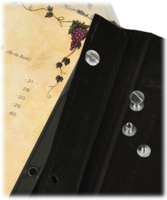 Faux Leather Menu Covers with a Screwpost Binding for easy addition and removal of menu sheet protectors. Shop online with the Menu Shoppe today.